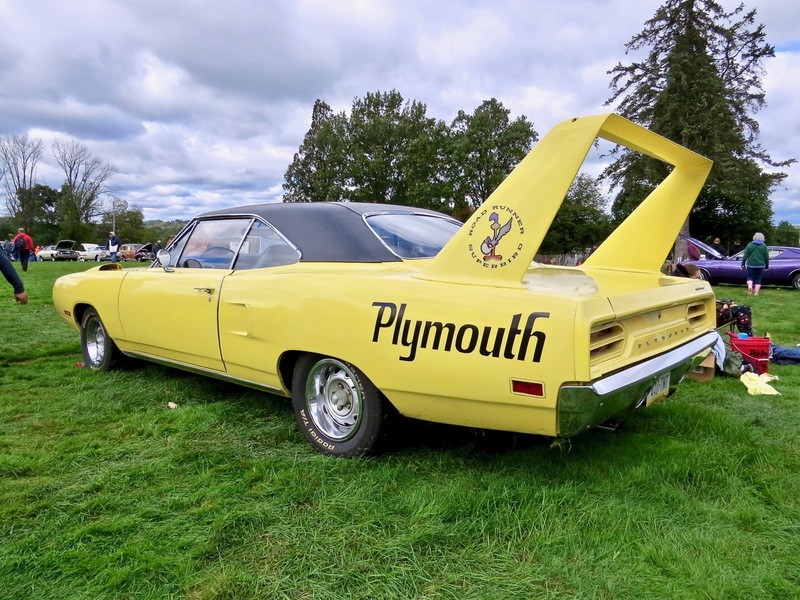 Plymouth’s Win-You-Over Beat Goes On, they said. The year was 1970. 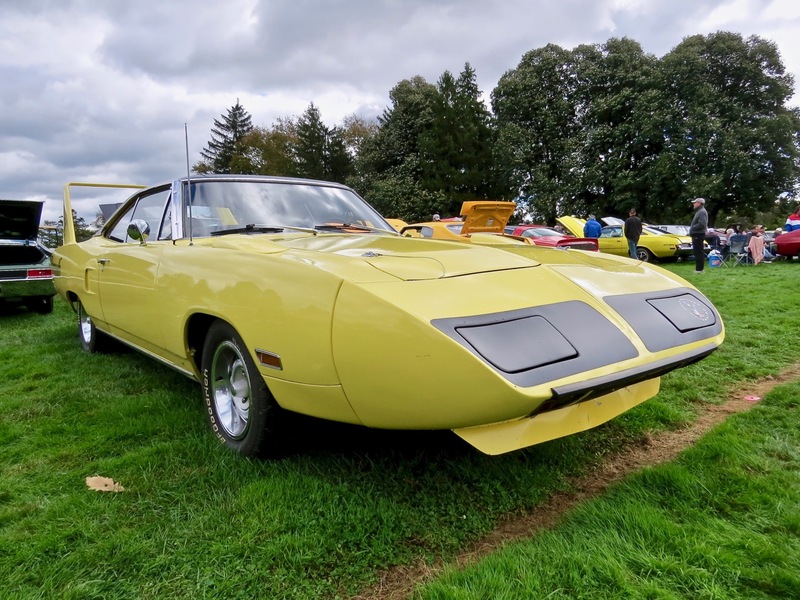 The muscle car era was at its peak, and Plymouth had an ace in the hole with the Superbird. 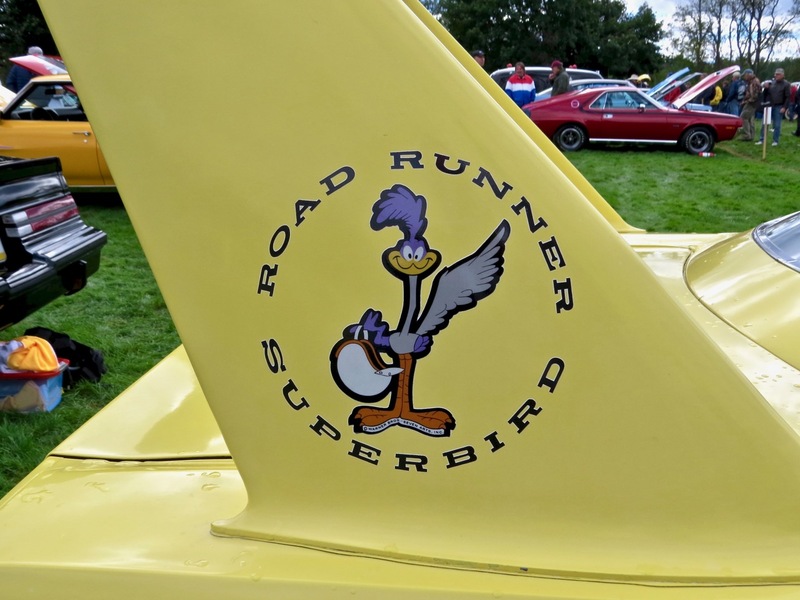 They took the Road Runner and put a nose cone on it, along with a giant rear wing, to homologate the super-slippery, aerodynamic bodyshape for NASCAR. Unfortunately, they were not able to sell them all immediately due to the unusual front end styling. 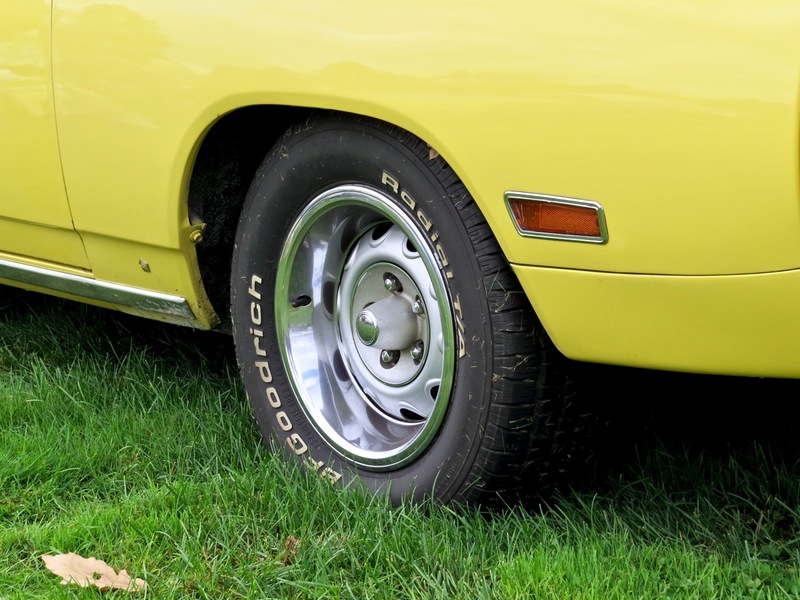 This yellow example stole my eye for a good amount of time at Hershey’s AACA meet this fall and I couldn’t stop staring at it. Enjoy the photos.